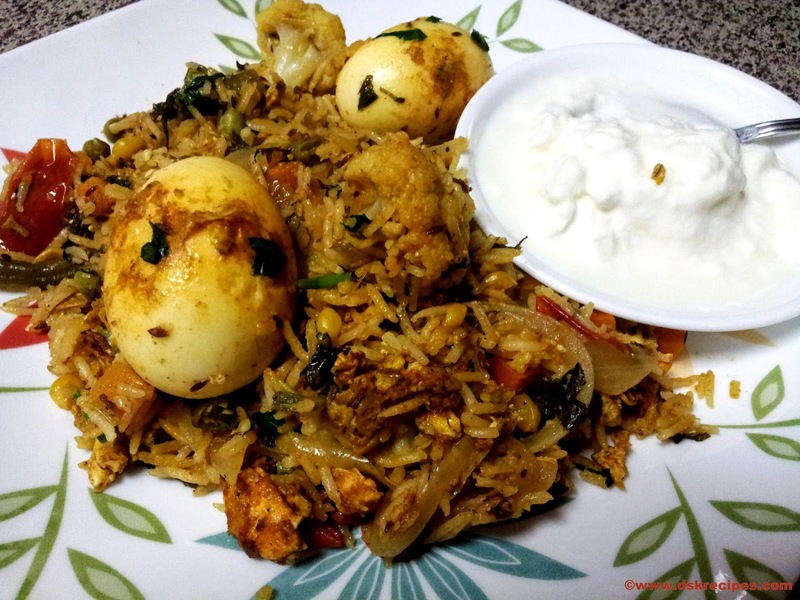 Vegetable Egg Biryani is fusion recipe of both vegetable and egg biryani. 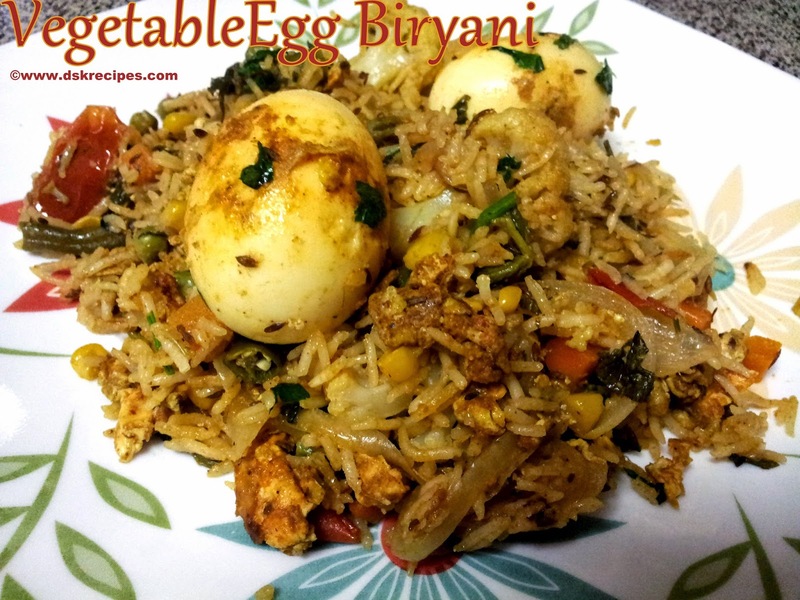 I like vegetable in biryani and just can do with it, only egg does not interest me and my family. But if you like only egg in your biryani avoid vegetables except for onion and tomato and follow the same procedure. 1. Wash and soak rice for some time. 2. Heat oil in a large non-stick pan. Add cumin seeds and let them crackle. 3. Add sliced onion and saute for a while. Add ginger-garlic paste and saute till onion are cooked. 4. Add all the chopped vegetables except tomatoes and mix well. 5. Add salt and cover with the lid till veggies are half cooked. 5. Add biryani masala, chopped corriender leaves, mint leaves, green chillis and tomatoes. Mix well. 6. Add curd and mix well. Let this masala cook well. 7. Once the masala is cooked add rice and 1 cup water. Cover with a lid and let it cool on medium flame or heat. 8. In small bowl beat 1 egg and to this add the 3 hard boiled eggs. Keep aside. 9. Heat butter in a small pan. Add cumin seeds and saute for a minute. 10. Add red chilli powder, turmeric powder and 1/2 tsp of biryani masala. Mix well. 11. Add the beaten egg with bolied egg mixture to it. 12. Scramble the beaten egg and let it cook. Add salt and freshly chopped corriender leaves to it. Mix well. 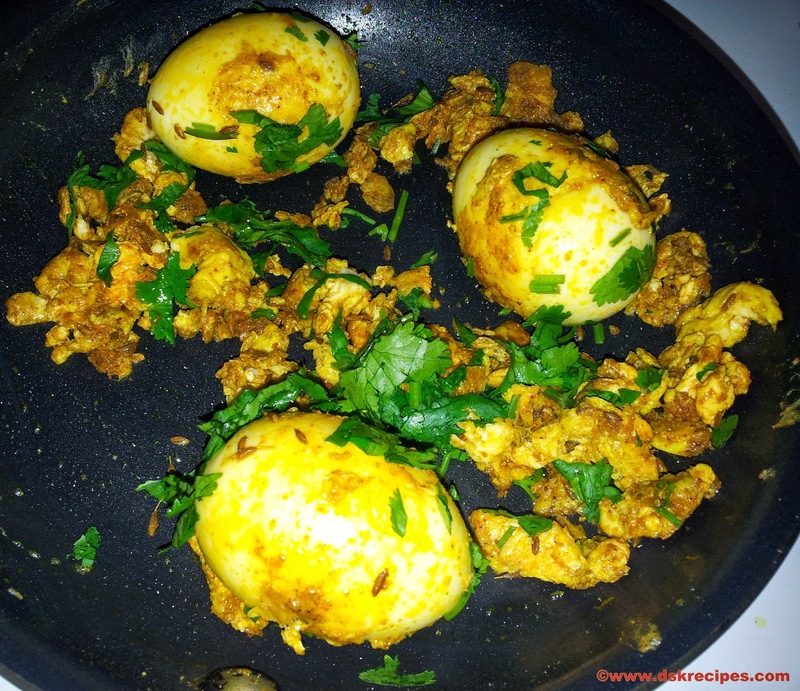 The egg masala is ready. 13. By this time our rice is cooked more than half cooked. 14. Open the lid add the egg masala we cooked to the rice and mix well with light hand. 15. Cover the pan with a lid to cook the rice completely on a very low flame. The steam will cook the rice. 16. Serve with raita or curd.